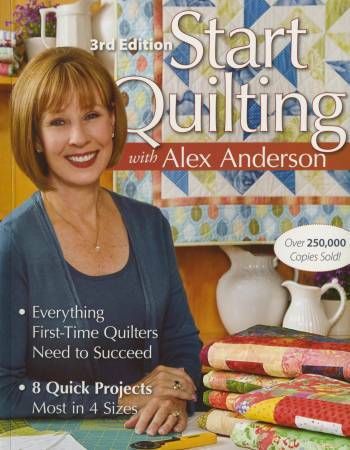 Alex guides you every step of the way as you learn to plan,cut, piece, quilt, and bind your quilt . Get started with 8 easy, beautiful projects. Expanded edition includes new projects, more quilt sizes, and lots of helpful new tips and shortcuts.